This book is the first of its kind to present evidence-based policies and procedures that medical and non-medical staff can use to develop Mother-Friendly Care in their facilities. 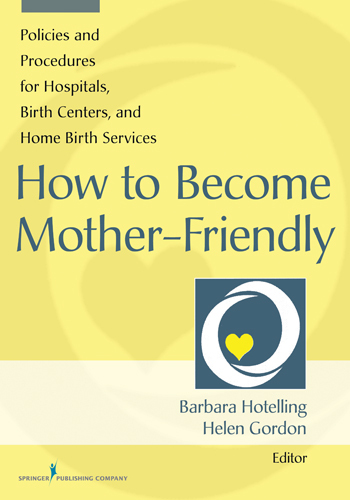 This is the only book to present the evidence-based policies and procedures that medical and non-medical staff can use to develop Mother-Friendly Care in their facilities. The Mother-Friendly Childbirth Initiative (MFCI), developed by the Coalition for Improving Maternity Services (CIMS), is a wellness model designed to improve birth outcomes and substantially reduce costs. It is an evidence-based mother-, baby-, and family-friendly model that focuses on prevention and wellness as alternatives to high-cost screening, diagnosis, and treatment programs. The MFCI is the first and only consensus document on U.S. maternity care and is recognized as an important instrument for change in the U.S. and abroad. The book is based on research and evidence developed by CIMS and includes 10 protocols, each with detailed policies and procedures and supporting information and resources that help implement the change to Mother-Friendly Care. Each protocol is authored and reviewed by recognized leaders in a variety of childbirth and maternity care arenas. The book traces the development of Mother-Friendly Care and describes its core tenets along with supporting statistical information. These tenets eschew practices not supported by scientific evidence. The manual includes implementation strategies for the evidence-based nursing care training programs of such organizations as Lamaze, ICEA, and AWHONN, and supports the WHO-Unicef "Ten Steps of the Baby-Friendly Hospital Initiative" to promote successful breastfeeding.